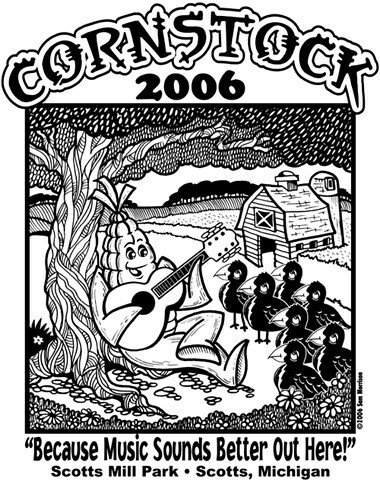 Here's my t-shirt design for the 2nd Annual Cornstock Music and Arts Festival. This year I decided on a loose, folksy style of illustration. Anyway,for those of you in and around Kalamazoo this one day event is on Saturday, June 17 from 10am - 10pm. It's being held at Scotts Mill Park in Scotts, MI. I think it's $5 a car load.